Chanel No.5: embarace the boundless. Chanel No. 5 is the scent of the categories “embrace the boundless”. My review turned up to be similar to the revelations of the blind man from the buddhist parable about an elephant. I had to sit on my hands to prevent myself from throwing caution to the wind and starting a broad and deep investigation on the subject. Why should I increase the entropy of informational space? The book about N°5 has already been written*. No. 5 has never been a scent of temptation for me, as, it seems, it could be perceived from numerous advertisement icons. Maybe I was coming across wrong releases or wrong concentrations. After all, such a legendary perfume could rightfully have many faces. I wore the EDP circa 2000s when I had to unwillingly do some work. The scent gave me, in my own eyes, some age and authoritativeness. I wore it when I had to write an unpleasant letter or finish routine work that required concentration. No. 5 would turn me into a workhorse, the one that docilely and happily pulls the plough. The scent had sharp aldehydes of raspberry color; dense and stocky, as if it was soaked, powder; flowers, alloyed into bright, almost candy mass. After some time the sharp edges of the scent would soften, the powder would dry and not stay like a lump in the throat. We weren’t actually friends with that No.5. At the same time, No. 5 has never been a “granny” scent for me. The older generation of my family never smelled of perfumes, so I don’t really understand what is the meaning of that notion. And after careful reassembly of the formula back in 2008 I want to laugh in a face of anyone who talks about No.5 as of an “old lady’s” perfume. How much time we spent back then learning all digital codes! It seems to be the only case when we were running after the new, not after ”the older – the better”. In the EDT Chanel No. 5 of that new release are 1930s, with their cult of youth and healthy body and soul. I see it in the paintings of Deyneka, in the photographs of Munkácsi, in a student album of my grandmother. There’s a belief in a happiness for all and everyone, that, just wait a little bit, will come. That desperate faith in a “bright future” as the only way to suppress the growing premonition of war. Sports marches will be replaced by military ones soon. In the EDT Chanel No. 5 is a ringing purity. Girls in squeaky crepe de Chine polka dotted dresses walk down the shiny embarkment, holding heaps of flowers in their hands. Drops of the morning dew on the petals. Hope in the eyes. From the bottle’s neck it smells of fine aldehyde powder. On the skin it scatters into thousand of laughing bells: juicy lemon, sharp razor of bergamot. A bunch of flower balloons bursts into the sky: snow-white jasmine, light-red roses, alloy of lily of the valley and hyacinth. Faces looking at the sky. In the scent there is a warm breath of ylang-ylang, a smell of slightly sweetened skin: that’s sandal. Iris softens the loudness and cools the composition down. Youth is so fresh! My Chanel No. 5 EDT is a purse version: I couldn’t stand the engineering construct of a flask that looks like James Bond’s gadget. No. 5 is one of those rare scents that I like to apply by spaying. Splashes fly – and so do balloons in the sky. Chanel No.5 is my morning bell. Emotional mikveh. There’s no past, only future. And it seems to be bright. Сhanel No. 5 – аромат из разряда “объять необъятное”. Мое ревью получилось похоже на откровения слепца из буддисткой притчи о слоне. Я била себя по рукам, чтобы не пуститься в тяжкие и не начать исследовать предмет в ширь и в глубь. Зачем умножать энтропию информационного пространства? Книга о No. 5 уже написана*. No. 5 никогда не был для меня ароматом соблазна, каким он, казалось, читался с многочисленных рекламных образов. Может я сталкивалась не с теми выпусками, не с теми концентрациями. В конце концов такой легендарный аромат имеет право быть многоликим. Парфюмерную воду выпуска 2000-х я надевала, когда мне нужно было трудится, а не хотелось. Аромат добавлял мне в моих cобственных глазах возраста и авторитарности. Я надевала его, когда мне нужно было написать неприятное письмо или закончить рутинную, требующую концентрации, работу. No. 5 превращала меня в рабочую лошадку, которая покорно и с радостью тянет свой плуг. В ней были резкие адьдегиды малинового цвета; плотная и сбитая, будто от попавшей на нее влаги, пудра; цветы, сплавленные в яркую, почти леденцовую массу. Со временем резкие грани аромата смягчались, пудра подсыхала и переставала стоять комом в горле. С той “Пятеркой” мы не очень дружили. В то же время, No. 5 никогда не был для меня “старушечьим” ароматом. Старшее поколение моей семьи никогда не пахло духами, может поэтому я вообще плохо понимаю, что люди вкладывают в это понятие. А после бережного перебора формулы в 2008 году мне хочется рассмеяться в лицо каждому, кто говорит о No. 5 как о бабушкиных духах. Сколько времени мы потратили тогда на изучение кодов! Кажется, это был единственный случай, когда мы гонялись за новым, а не за “чем старше, тем лучше”. В туалетке Chanel No.5 этого нового выпуска – тридцатые с их культом юности и здорового тела и духа. Я нахожу его в картинах Дейнеки, на фотографиях Мункачи, в студенческом альбоме моей бабушки. В нем вера в счастье для всех и каждого, которое еще немного – и настанет. Эта отчаянная вера в светлое будущее как единственный способ заглушить нарастающее предчувствие войны. Скоро спортивные марши сменятся военными. В туалетке Сhanel No. 5 – звенящая чистота. Девушки в cкрипящих крепдешиновых платьях в горошек идут по умытой набережной и несут в руках охапки цветов. На лепестках капельки утренней росы. В глазах надежда. Из горлышка флакона пахнет тонкой альдегидной пудрой. На коже она рассыпается тысячью смеющихся колокольчиков: сочный лимон, острое лезвие бергамота. Связка шариков-цветов рвется в небо: белоснежный жасмин, светло-красные розы, сплав ландышей-гиацинтов. Лица устремлены в небо. Чувствуется горячее дыханье иланг-иланга, запах чуть спотевшей кожи: это сандал. Ирис приглушает громкость и охлаждает. Юность так свежа! Моя туалетка Chanel №5 в сумочном варианте: я смогла устоять перед инженерной конструкцией флакона, похожего на джеймсбондовскую штучку. No. 5 один из тех редких ароматов, который я люблю наносить именно из спрея. Разлетелись брызги – и воздушные шарики полетели в небеса. Chanel No. 5 – мой утренний колокольчик. Эмоциональная миква. Прошлого нет, только будущее. И оно, кажется, обещает быть светлым. No. 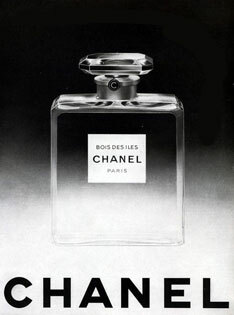 5 Chanel (Ernest Beaux/Jacques Polges, 1921): aldehydes, bergamot, lemon, neroli; jasmine, lily of the valley, rose, orris; vetiver, sandalwood, vanilla, and amber. 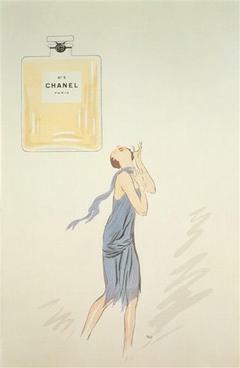 Chanel ad from 1921 by French caricaturist Georges Goursat (1863–1934), also known as SEM. Bois des Îles Chanel: выстрадано, длинно и нераскрыто. “Go now,” she said. Florentino Ariza pressed her hand, bent toward her, and tried to kiss her on the cheek. But she refused, in her hoarse, soft voice. For a couple of past weeks I’ve been gathering my fragmented thoughts about Bois des Îles into one entity. It appeared to be a lot of thoughts: me and Bois des Îles have many years of an uneven relationship. I couldn’t make the translation for last Saturday (sorry for that!). But on that Saturday I found myself on a flea market in Paris again. My eyes caught a flacon of a vintage Bois des Îles perfume. It hasn’t been open yet, but was kept without a box. Despite the absence of paraffin film, there was no smell around the neck, so it was difficult to figure out its condition. Even knowing that Chanel scents don’t withstand time well, I took the risk. But let’s leave the perfume for later. And start with Bois des Îles from Les Exclusifs de Chanel. I could never recognise the variety of notes announced in the pyramid of Bois des Îles. Aldehydes, those I adore for their ability to compress the space into a point, do not reveal their abilities here. In Bois des Îles I recognise them only by a sunlight diffused through a mist. Bois des Îles smells of June’s milk-white apples with skin as thin as one that you peel of with the tongue when you burn the roof of your mouth. It smells of a wet book that was left on an old terrace during summer rain. It smells of old soaked wood: that’s an iris powder with a tincture of sandalwood. Bois des Îles is, possibly, the only scent where I could stand iris in such quantity. Usually the relaxed melancholy, with which iris contaminates everything it touches, is unbearable for me. I’m not afraid of age. I fear to loose the olfactory picture of the world I’m used to, whose integrity I esteem not less than integrity of a soul. Every re-formulation, every new “recommendation” of IFRA takes a part of it away from me. But when my own skin takes that part away, it really hurts. The only escape from this situation I see is to wear perfumes on a cloth, rather than on a skin. I’ll have to sacrifice the generous splashing but instead the elegant scarf on a neck could solve two problems at once: the way the frgarance developes and wrinkled skin. Perfect time to start learning how to wear it. perfume as well, so I could not come closer to it’s essence. To obfuscate is in the nature of Bois des Îles. The only thing that could make you guess the mature age of the perfume I have purchased at the flea market is it’s slightly accelerated development. This is not typical for such concentration. Notes unwrap fast, like a soundtrack in an old movie. It’s like the perfume was in a hurry to live it’s unexpected second life. In general it was similar to a life of it’s great-granddaughter. But sandal that opened in a base made me forget everything I knew about sandal. I didn’t know it could sound so soft and spacious. Here they are, island forests in all their beauty: dark exotic trees in a mist. Bois des Îles is melancholy in a bottle. Is there a moment in our life when you could indulge in it without compunction? Bois des Îles is an infinite depth, an endless free fall into the embrace of melancholy. Последние пару недель я занималась тем, что пыталась собрать свои разрозненные мысли о Bois des Îles в одно целое. Мыслей оказалось много: нас с Bois des Îles связывают долгие годы неровных отношений. Я не успевала с переводом к прошлой субботе (мои извинения!). Зато в субботу я опять оказалась в Париже на блошином рынке. Мне на глаза попался флакон винтажных духов Bois des Îles. Флакон не был вскрыт, но хранился без коробки. Несмотря на отсутствие парафиновой пленки, от горлышка почти не пахло, и определить его сохранность было сложно. Зная, как плохо хранятся Шанели, я все же рискнула. Но о духах позже. Пока – об Bois des Îles из Les Exclusifs de Chanel. В Bois des Îles мне никогда не удавалось расслышать разнообразие нот, заявленных в пирамиде. Альдегиды, которые я так люблю за умение сжимать пространство в точку, здесь не являют своих свойств. В Bois des Îles я узнаю их только по рассеянному солнечному свету в тумане. Bois des Îles пахнет июльскими бело-молочными яблоками с тонкой, как кожица, которую сдираешь языком с обожженного неба, шкуркой. 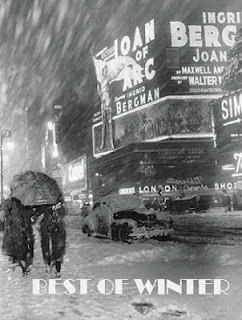 Он пахнет промокшей книгой, забытой во время теплого летнего дождя на старой веранде, старой влажной древесиной: это ирисовая пудра с примесью сандалового дерева. Bois des Îles, наверное, единственный аромат, в котором я выношу ирис в таком количестве. Обычно та расслабленная меланхолия, которой ирис заражает все, к чему он прикасается, для меня невыносима. Я не боюсь старости. Я боюсь лишиться привычной ольфакторной картины мира, целостностью которой я дорожу, так же, как целостностью души. Каждая переформулировка, каждая новая “рекомендация” IFRA отнимает у меня ее часть. Но когда ее отнимает собственная кожа, это по-настоящему больно. Единственный выход, который я вижу из этой ситуации: носить аромат не на коже, а на ткани. Прийдется пожертвовать чувственным сплешевым намазом, зато элегантный платочек на шее может решить сразу две проблемы: звучания парфюма и морщин. Самое время начать учиться носить шейные платки. Мне всегда хотелось знать, какими задумывал Bois des Îles Эрнест Бо. Однажды мне уже доводилось попробовать винтажные духи, “пожиловатые”, как охарактеризовала духи их хозяйка. В них было гораздо больше альдегидов, чем в современной туалетке, больше нероли и бергамота. Эти ноты на какое время сдержали натиск, но меланхолическая ирисовая волна накрыла меня и в духах и не дала мне приблизиться к их сути. Это так в характере Bois des Îles: напускать туману. О пожилом возрасте моих духов можно догадаться только по немного ускоренному развитию, что не характерно для этой концентрации. Ноты разворачивались быстро, как звуковая дорожка в старом кино. Духи будто спешили жить свою неожиданную вторую жизнь. В общих чертах она была похожа на жизнь своей правнучки. Зато сандал, который открылся в базе, заставил меня забыть все, что я знала о сандале. Я не знала, что сандал может звучать так мягко и объемно. Вот они, островные леса со всей своей красе: темные экзотические деревья в туманной дымке. Bois des Îles – меланхолия во флаконе. Разве в нашей жизни есть время, когда ей можно предаваться без зазрения совести? Bois des Îles – это бездонность, бесконечное свободное падение в невесомые объятия грусти. 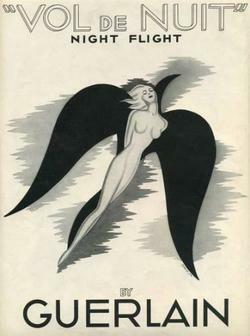 Bois des Îles (Ernest Beaux, 1926): aldehydes, coriander, bergamot, neroli, peach, jasmine, rose, lily of the valley, iris, ylang-ylang, vetiver, sandalwood, benzoin, vanilla and musk. Bottega Veneta as a Best of Winter 2012. The best scent of this winter is, no doubt, Bottega Veneta. At some point I even stopped wearing it, to not turn into a routine the contact with this wonderful scent. Canonical beauty also has reverse side – large circulation. Remember those crowds in front of Mona Lisa? But I felt for Bottega Veneta not because of it’s beauty. I got tired of feeling myself a hundred years old, nagging about everything new not less than about conceptuality and too much self-expression in perfumery. Bottega Veneta doesn’t make me feel myself a stranger in my own time. February. Longing for roses loosens it’s vice. Ahead of me is the usual February awaiting for a spring. I wish to wear yellow on black, certainly mohair on wool. Yellow go with me catastrophically. That’s why I quench my thirst with Une Fleur de Cassie. I dropped out of the egregore of the International Women’s Day long time ago, and haven’t seen mimosa alive for a long time, but Une Fleur de Cassie won’t let me forget how it’s smells. The beginning in Une Fleur de Cassie is innocent. Bitterish greenery, cool white lilies, moist, slightly candy violets. Tenderness at the fingertips. Smell of leaking tubes of oil paint and flaked gouache. White flowers often generate such allusions. It’s a pity they are so short-lived. Еще немного, и Une Fleur de Cassie затянет в свою в альдегидную воронку. В ней пропадает хрустальный и чистый, как слеза жасмин. Только его и видели! Une Fleur de Cassie – это торжество роз и мимоз. Роза, при всей своей самодостаточности, в этом аромате отдает себя, не доминируя. Но мягкость переходов и округлость форм – именно ее заслуга. Ярко-желтые пушистые шарики мимозы покрыты густым облаком пыльцы. Пыльца щекочет нос и оседает на плечи в черном. Я едва могу дышать в ее пудровой горечи. Прохладно-терпкая гвоздика удерживает цветочно-альдегидную вакханалию в рамках приличия. Это так по-французски: рамки нужны только когда им есть, что ограничивать. Иначе они просто бессмысленны. UPD: Зарубка на память: Fête du Mimosa à Mandelieu-La Napoule. The need for roses is like the need for bread. It is an eternal olfactory value. When at a flea market I saw a miniature perfume Nahéma Guerlain (copyright 1979) on a plastic bed of obscene pink color, I didn’t doubt even for a moment: pink roses haunt my mind since autumn, but our flower shops still don’t have the roses of a size and color that I need. Nahéma starts sweet, viscous, as if it’s stretching itself. A bit of bergamot sharpness, a bit of velvety geranium leaves – and a shiver runs through your relaxed body. Above that you could recognize outlines of rose petals. They flash in front of your eyes, as if in a rapid motion. Their name is a legion. Nahéma warms up quickly and shrouds you like a cocoon. That cocoon is the size of the Universe. Its internal heat reserve seems to be inexhaustible. Every time I experience this start I have a feeling that I’m sitting in a boat that’s been pushed off from a shore to eternity. And in eternity the rose sun in its zenith. A sphere shaped out of uniform, plastic rose-apricot substance, dense and sparse at the same time. How could that be? – Ask Jean-Paul. The sun has cold hyacinth prominences and a sandal-benzoin core. Sometimes I’m being brought back to reality by ghosts of rose oil. But even Sun has its spots. Roses in Nahéma got their second life. Raw material transformed into something new, amazingly rigid. Outlines are blended together, silhouettes are indistinct. Nahéma has nothing that could make you wonder what it’s made of. In Nahéma, you’ll find accumulated energy of the midday sun. Feeling of safety and serenity, when it’s so easy to let your guard down. Nahéma is decadence. Absolute yin. The unbearable lightness of life. Потребность в розах – как потребность в хлебе. Это вечная ольфакторная ценность. Когда на блошином рынке я увидела миниатюру духов Nahéma Guerlain (копирайт 1979 года) на ложе из пластика непристойно-розового цвета, я не сомневалась ни минуты: мне с осени не дают покоя розовые розы, но в наши цветочные лавки никак не завезут цветы нужного мне цвета и размера. Nahéma cтартует сладко, тягуче, будто потягиваясь. Немного остроты бергамота, бархатных листьев герани – мелкая дрожь пробегает по расслабленному телу. Еще различимы очертания розовых лепестков. Они мелькают перед глазами, как в ускоренной съемке. Имя им – легион. Nahéma быстро согревается и окутывает собой, как коконом. Кокон этот размером с Вселенную. Запас внутреннего тепла в ней кажется неисчерпаемым. Каждый раз, когда я переживаю этот старт, у меня такое чувство, будто я сижу в лодке, которую оттолкнули от берега в вечность. А в вечности – розовое солнце в зените. Шар, слепленный из однородной, пластичной розово-абрикосовой массы, плотной и воздушной одновременно. Как такое возможно – спросите у Жан-Поля. У солнца холодные гиацинтовые протуберанцы и сандалово-бензоиновое ядро. Иногда меня возвращают в реальность призраки розового масла. Но и на солнце бывают пятна. В Nahéma розы обрели вторую жизнь. Сырой материал переработан в нечто новое, удивительно цельное. Очертания слились, силуэты неразличимы. В Nahéma нет ничего, что заставляло бы думать о том, как это сделано. В Nahéma – аккумулированная энергия полуденного солнца. Чувство безопасности и безмятежности, в котором так легко потерять бдительность. Nahéma – это декаданс. Абсолютный инь. Невыносимая легкость бытия. Nahéma Guerlain (Jean-Paul Guerlain, 1979): bergamot, mandarin, rose; rose, peach, cyclamen, lily; vanilla, sandalwood, vetiver, and benzoin. These days, making good perfumes is almost an unacceptable luxury. Judging by the result, Bottega Veneta didn’t save either on raw materials or on a bottle. From which I make a conclusion that things going well in the house, and making money on perfumes is not a goal. Bottega Veneta released almost an abnormally good scent for our times. And in return it got much more than just money – a confirmation of its affiliation to a luxury segment. Short-term profit, which seems to be driving most mainstream brands, is not worth ruined reputation. Hopefully, they understand it at Bottega Veneta. And the fact that their first perfume turned out to be what it turned out to be, is not fortuitous, but predictable. After the first try on a blotter, Bottega Veneta seemed quite similar to three other scents: Daim Blond Serge Lutens, Rose Barbare Guerlain, and Cuir Amethyste Armani Prive. But right after the first wearing I abandoned the idea of comparative analysis. With all its seeming brevity, Bottega Veneta has much reacher nuances than any of other three scents. There is no chypre trajectory from moss to bergamot, as in Mitsouko Guerlain (Bottega Veneta is classified as a leathery floral chypre). This scent vibrates in a narrow, almost monochromatic range, but how it vibrates! 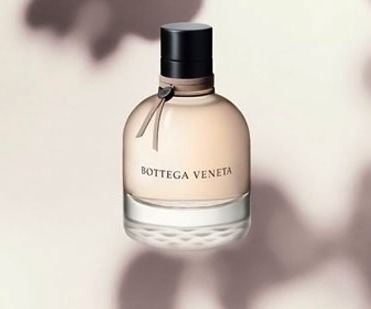 Bottega Veneta opens with gentle “white” hesperides (lemon?, bergamot? ), too abstract to recognize them in person. Immediately a very uncommon iodine note appears. It has nothing in common with the ubiquitous aquatic freshness, something that I can’t stand in perfumery. It smells like being close to the sea, like warm sand, like a peace of weathered salty wood. Similar iodine, seeping through crevices in the wood, I observed only in Angélique Encens Creed Private Collection. Warming up on the skin, the fragrance begins to give out fruit, flowers and resins. All this is mixed into an extraordinarily light souffle. I get apricot, osmanthus, tea rose and benzoin. Apparently, it’s fate, I can’t not make another comparison. Thanks to this light, airy consistence, I already love to wear Bottega Veneta (during a day) paired with Guet Apens Guerlain (in the evening). A glass of Jurançon – if you wish,– but I try to not miss the opportunity. And don’t forget that all this magnificence is delivered on a suede foundation: warm, soft, a bit crumbly, with a slightly animalistic smell, and a savor of glue remnants. It smells like this in the bag sewing workshops. We have one in the town. I adore visiting it from time to time. Perhaps, Bottega Veneta has the most realistic suede from what I know. In my chamber of weights and measures, I keep it as a suede etalon. This review turned out to have too many comparisons. But I don’t want it to make you think this perfume is secondary. In my rather extensive collection of leather scents, there’s nothing that could compete with it. I look forward to when they create a pair for it. And I dream of trying Bottega Veneta in perfume. Новинки люксового сегмента – не мое амплуа. Но Bottega Veneta оказался так хорош, что вылился во флакон и ревью для PST в рекордно короткие сроки. Делать хорошие парфюмы в наши дни – почти непозволительная роскошь. Судя по результату, в Bottega Veneta не экономили ни на сырье для аромата, ни на флаконе, из чего я делаю вывод, что дела у дома идут хорошо и зарабатывать деньги на парфюмерии не входит в его планы. Bottega Veneta, выпустив почти аномально хороший для нашего времени аромат, получил взамен гораздо больше, чем деньги: подтверждение своей принадлежности к люксовому сегменту. Короткосрочная выгода, на которую, похоже, настроились большинство мейнстимных марок, не стоит испорченной репутации. Хочется верить, что в Bottega Veneta это понимают, и то, что их первый аромат получился таким, каким он получился, не случайность, а закономерность. После первой пробы на блоттере Bottega Veneta показался мне похожим сразу на три других аромата: Daim Blond Serge Lutens, Rose Barbare Guerlain и Cuir Amethyste Armani Prive. Но после первой же носки я оставила идею сравнительного анализа. Bottega Veneta, при всей его кажущейся лаконичности, гораздо богаче на нюансы, чем любой из ароматов этой тройки. Композиция Bottega Veneta почти линейна. Здесь нет шипровой вертикали от мха до бергамота, как например в Mitsouko Guerlain (Bottega Veneta классифицируют как цветочно-кожаный шипр). Аромат вибриует в узком, почти монохромном, диапазоне, но зато как он вибрирует! Bottega Veneta открывается нежными “белыми” гесперидами (лимон?, бергамот? ), довольно абстрактными, чтобы можно было узнать их в лицо. Сразу же появляется очень необычная йодистая нота. Она не имеет ничего общего с набившей в свое время оскомину акватической свежестью, которую я в парфюмерии совершенно не приемлю. Пахнет близостью моря, разогретым песком, куском обветренного соленого дерева. Подобную йодистость, просачивающуюся сквозь расщелины в древесине, я наблюдала только в Angélique Encens Creed Private Collection. Разогреваясь на коже, аромат начинает отдавать фрукты, цветы и смолы. Все это смешивается в необыкновенно легкое суфле. Мне положили абрикос, османтус, чайную розу и бензоин. Видимо, такова планида, но я опять не удержусь от сравнения. Благодаря этой легкой, воздушной консистенции, я уже полюбила носить Bottega Veneta (днем) в связке с Guet Apens Guerlain (вечером). Бокал журансона – по вашему усмотрению, но я стараюсь не упускать случая. Не забываем, что это все это великолепие подается на замшевой подложке: теплой, мягкой, немного рыхлой, пахнущей слегка анималистично и отдающей остатками клея. Так пахнет в мастерских, где шьют сумки. У нас есть одна в городе. Я очень люблю там бывать. Пожалуй, в Bottega Veneta самая достоверная замша из тех, что я знаю. В моей палате мер и весов я принимаю ее за замшевый эталон. В этом ревью получилось слишком много сравнений, но я не хочу, чтобы это создало ложное впечатление о вторичности аромата. В моей довольно обширной коллекции кожаных ароматов такого аромата еще не было. Я с нетерпением жду, когда к нему сделают пару. И мечтаю попробовать Bottega Veneta в духах. Bottega Veneta (Michel Almairac, 2011): patchouli, oak moss, bergamot, jasmine, and pink pepper. Hermes perfumes occupy a special niche. Only a few houses could boast such constant product quality. This consistency costs a lot, but sometimes it plays a cruel joke on the house, as in the case of Rouge. 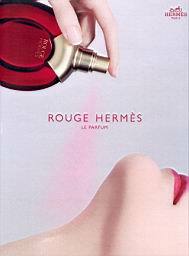 Fragrantica reports that Rouge Hermes was created in 1984 as Parfum d’Hermes, and reincarnated in 2000 as Rouge. I don’t understand where this confusion came from. Rouge and Parfum d’Hermes are different scents, and I can’t say that one is a reformulation of another, even approximately. This could be easily proven in any Hermes boutique. Both perfumes are still produced successfully. Nowadays, when the real quality is not in fashion, Rouge Hermes can be rightfully called old-fashioned. The scent seduces with the correctness of its composition and a feeling of serenity that comes from it. It is correct, but not at all boring. There is nothing in Rouge that is deliberate, nothing “too much”. Although I could honour any Hermes perfume with this characteristic. Rouge Hermes opens with bitter, throat-scratching aldehydes. A barely perceptible hint of aldehyde bitterness is felt throughout the development of the aroma. 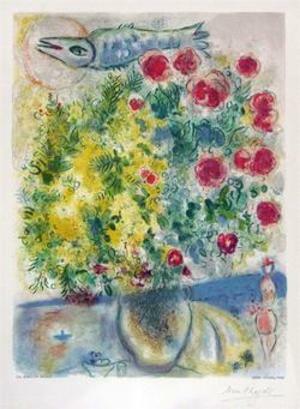 At the heels of the aldehydes, there slowly drops a soft heavy curtain made of flowers, where rose is dominant. This dense, iris-powdered red rose is completely lacking any traces of fruit notes. Usually flower notes give perfume succulence and moisture, but thanks to iris, it stays dry and even a little bit rough. The base of Rouge is hot, wood-resin, with the same familiar bitterness and roughness. I do not divide perfumes into day and evening ones, but I feel more comfortable in Rouge during the day. I wear this perfume with pleasure on cold and dark weekdays. In the evening, I miss emotional expressiveness it can’t give. And this is not surprising. It is difficult to neglect aristocratic restraint formed over many generations. I found a complement to the Rouge, though not that noble, but it perfectly compensates for that cute imperfection – Rose de Nuit Serge Lutens. Both scents are in the same sector of a colour spectrum, rose dominates in both of them, but Rose de Nuit is far less sensible. Ароматы Hermes занимают в парфюмерию особую нишу. Мало какой дом может похвастаться таким неизменным качеством выпускаемой продукции. Это постоянство дорогого стоит, но иногда оно играет с домом злую шутку, как в случае с Rouge. Fragrantica сообщает, что Rouge Hermes был создан в 1984 году как Parfum d’Hermes и реинкарнирован в 2000 году как Rouge. Мне сложно понять, откуда возникла такая путаница. Rouge и Parfum d’Hermes – разные ароматы, и назвать один переформулировкой другого я не могу даже с большой натяжкой. В этом можно легко убедиться в любом бутике Hermes. Оба аромата продолжают успешно выпускаться. В наше время, когда настоящее качество уже давно не в моде, Rouge Hermes можно по праву назвать старомодным. Аромат подкупает выверенностью композиции и ощущением покоя, который от него исходит. Он правильный, но ни в коем случае не скучный. В Rouge нет ничего нарочитого, ничего “чересчур”. Впрочем, этой характеристикой я могу наградить почти все ароматы Hermes. Rouge Hermes открывается горькими, царапающими горло альдегидами. Привкус едва уловимой альдегидной горечи чувствуется на протяжении всего звучания аромата. Следом за альдегидами медленно опускается мягкий, тяжелый занавес из цветов, среди которых доминирует роза. Эта густая, припорошенная ирисовой пудрой, красная роза напрочь лишена каких-либо следов фруктовых нот. Цветочные ноты как правило придают ароматам сочности и влажности, но благодаря ирису аромат остается сухим и даже немного шершавым. База в Rouge горячая, древесно-смолистая, все с той же знакомой горечью и шероховатостью. Я не разделяю ароматы на дневные и вечерние, но мне комфортнее в Rouge именно днем. Я с удовольствием ношу этот аромат в холодные и темные будни. Для вечера мне в нем не хватает эмоциональной экспрессивности. И это не удивительно: аристократической выдержкой, которая формировалась на протяжении не одного поколения, не так уж и просто пренебречь. Я подобрала к Rouge комплиментарную пару, пусть не такого благородного происхождения, зато прекрасно компенсирующую этот милый недостаток: Rose de Nuit Serge Lutens. Оба аромата расположены в одной части цветового спектра, в обоих доминирует роза, но Rose de Nuit гораздо менее рассудительна. 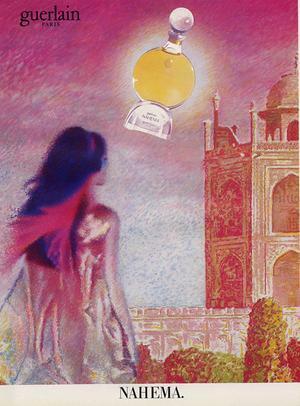 Rouge Hermes: ylang ylang, rose, cedar, sandalwood, Bourbon vanilla, spices, resins, myrrh, labdanum ciste. Попытка объять необъятное: Mitsouko Guerlain. As the other scents of this concentration from Guerlain, Mitsouko is very versatile and flexible. But while the dynamics of Vol de Nuit is built horizontally, Mitsouko’s is vertical. From the bottle, it smells of bergamot and moss at the same time. The top and the very bottom have folded into the same plane, showing its chypre id, like a passport. But on a skin the components, previously arranged like a pile of cards, stretch into a vertical structure all the way up to the stratosphere. Oak moss could drag anyone into a dungeon, but here bergamot holds the entire composition on the surface, even in the base keeping it from falling into the netherworld. Mitsouko is a perfection from the first note till the last. It’s an absolutely narcotic scent. You want it more and more, and can’t stop that. And at the same time it has something incomprehensible. 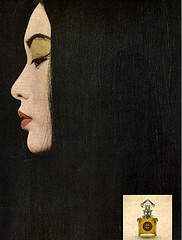 Mitsouko is like a woman you love, but with whom you speak different languages. The flight theme that I started with En Avion didn’t let me go for the whole October. I got a bottle of eau de toilet Vol de Nuit back in summer, and I was trying to understand what could be “flying” in this powderish, galbanum-aldehydic fragrance? And where is the “night” among these clean, almost squeaking white flowers? Yes, I was looking for a meaning in creation. Guilty, but what do I do, if they both (the meaning and the creation) are so beautiful? To me, green white flower fragranses match the beauty of early spring, rather than autumn. I can’t remember what made me try Vol de Nuit on one of October’s days, but in that cold and dry wind (very rare in our seaside climate!) Vol de Nuit showed its green grin, stretched its aldehydic wings, and took off. Instead of a tired cloud settling down on my shoulders, powder left an ultrasonic trail behind my back. What moonlike vibrations it has! Vol de Nuit needs at least a little bit of coldness. It is a nocturnal animal which can’t stand bright light. In the top notes of the fragrance there is a sharp and steel-cold verdancy. Dagger whistles past the ear and disappears in a see of white flowers. There’s a narcissus with its narcotic pollen, and harsh, almost crunchy aldehydic hyacinth, and clouds of non-indolic jasmine. It’s better not to look for it there – you’ll get hurt. Iris powder, tonka bean and vanilla are sparkling in the white-blue-green moonlight, as in Kuindzhi’s paintings. In the base – blackness of moss and white amber charcoal, scorching – cool. Not an ash, but salt emerges from it, so I want to lick my hand to believe it’s not an illusion. Vol de Nuit’s character largely depends on its concentration. Guerlain’s vintage eaux de toilette are flexible, mobile and plastic. Vol de Nuit combines lightness and density, that’s what I love about old Guerlain EDTs. Its fragile beauty defies eternity and violates laws of physics. Night flight comes to end, but the ringing trail of Vol de Nuit seems to be endless. I spent couple of weeks in the country this summer. It was so dark in the night, that my hand, stretched forward so that I won’t run into a closet (inside) or a tree (outside), was disappearing in a darkness somewhere around the elbow. But when the moon appeared, you could see every leaf. I needed to escape somewhere with no electricity, to see, how dark an August night could be. And I needed to wear Vol de Nuit on a windy autumn day to feel how hot my blood really is. Тема полетов, начавшаяся с En Avion, не отпускала меня весь октябрь. Флакон старой тулаетки Vol de Nuit появился у меня еще летом. Тогда я пыталась понять, что летящего этом пудровом, гальбанумно-альдегидном аромате? А что ночного в этих чистых, до скрипа белых цветах? Да-да, я искала замысел в творении. Грешна, но что поделаешь, если они оба (замысел и творение) так прекрасны? Зеленые белоцветочные ароматы больше ассоциируются с хрустальной красотой ранеей весны, чем с осенью. Уже не вспомню, что заставило меня надеть Vol de Nuit в один из октябрьских дней, но на холодном сухом (такая редкость в нашем морском климате!) ветру Vol de Nuit показал свой зеленый оскал, расправил белоснежные альдегидные крылья и взлетел. Пудра уже не ложилась усталым облаком на плечи, а ультразвуковым шлейфом свистела за спиной. А какие лунные у нее вибрации! Vol de Nuit необходимо хоть немного прохлады. Это ночной зверь, не терпящий яркого солнца. В верхних нотах аромат– острая и холодная, как сталь, зелень. Кинжал со свистом пролетает мимо уха и исчезает в море белых цветов: здесь и нарцисс с его одурманивающей пыльцой, и резкий, до альгедидного хруста, гиацинт, и клубы неиндольного жасмина. Лучше не искать его там – поранитесь. Ирисовая пудра, боб тонка, ваниль искрятся в лунном свете, бело-сине-зеленом, как на картинах Куинджи. В базе аромата – чернота мха и белые амбровые угли, обжигающе-холодные. На них проступает не пепел, а соль, да так, что хочется лизнуть руку, чтобы удостовериться, что это не иллюзия. Характер Vol de Nuit во многом обусловлен концентрацией. Туалетные воды Guerlain гибки, подвижны и пластичны. В Vol de Nuit cочетается легкость и плотность, за что я так люблю старые герленовские туалетки. Его хрупкая красота бросает вызов вечности и попирает законы физики. Прерывается ночной полет, но звенящий шлейф Vol de Nuit кажется бесконечным. Летом я провела несколько недель на даче. Ночью там было так темно, что моя рука, которую я вытягивала перед собой, чтобы не напороться на шкаф (в доме) или дерево (в саду), пропадала в черноте где-то на уровне локтя. Зато когда поднималась луна, можно было пересчитать каждый лист. Нужно было уехать туда, где нет электричества, чтобы увидеть, как может быть светло черной автустовкой ночью. И нужно было надеть этот холодный аромат ветренным осенним днем, чтобы почувствовать, какая на самом деле горячая у меня кровь. Vol de Nuit Guerlain (Jacques Gueralin, 1933) : orange, bergamot, lemon, mandarin, petitgrain, galbanum, sage, aldehydes violet, rosewood, palmarosa, jasmine, jonquil/daffodil, pimento; Vanilla, benzoin, Peru balsam, musk, cedarwood, orris, tonka bean, oakmoss, agarwood, sandalwood, vetiver, ambergris, castoreum. My whole perfume life is a struggle for the purity of perception. The main enemy in this struggle is my own suggestibility. The history of a house, the name, the perfumer’s personality, the advertisement, the legend – this is the chaff that my perfume soul is greedy for. So I always try to separate that from the smell itself. My biggest perfume phobia is a search for a meaning where it does not exist. My only сonsolation is that the search for a reason in creation is an eternal human passion, the oldest hobby. I love when things are called by their proper names. When unnecessary epithets are dropped. When minor details are ignored. Mona di Orio wisely gives her audience the ability to give a meaning into such plain concepts as “vetiver”, “vanilla”, “amber”,… – notes that became perfumery archetypes. Simplistic names of perfumes from “Les Nombres d’Or” make room for life. Just Cuir and nothing more. Because there is enough sentiments in each olfactory luggage. These thoughts came to me after a talk with Jeroen Oude Sogtoen. I accidentally met him next to one of the many bars in Amsterdam. And – oh my perfume gods! – that day I wore Cuir from Mona di Orio. We talked about Mona, her Les Nombres d’Or, how people react to such scents and what smells they like. Jeroen said that it’s so easy to understand Vanille, for example, because people know the smell of vanilla from their childhood, it has some meaning for them. The scent itself, not an image, artificially created around it. What I know from my childhood is smell of frozen coal, melting snow, vegetables, stored in a cold basement. This are the smells of pre-winter when you run out into the street in slippers on bare feet, follow frozen paths, to bring back coal from the storage, and soot your hands while stoking the furnace. You scrape frozen pieces of soil from potato, catch a pickle from a brine made with herbs you collected during last summer. You walk to the station to meet the train, come close to the railway and listen how your heart stops in a thunder of a freight train passing by. This is what the smell of Cuir Mona di Orio is like. I cannot explain why this smells good, but it really does. And I do not try to be objective. Leaving your coordinate system is like losing own cross. I’m only trying to be honest with myself: in the reference point in my coordinate system is always a still as in a middle of a cyclone. Before soviet government came in 1939, my grandfather’s family ran a bakery. When bakery was taken from them, they started to sew. Women sewn dresses, men – leather jackets and coats, so adored by communist party leaders. Leather became my favorite note in perfumery long before I got to know that fact. When Onda from Vero Profumo appeared, I had an idea that my grandfather (whom I just barely remember) could have worn it. These thoughts led me to the unknown before paths in my family history. And even though it could be just a molecule of quinoline that stimulates limbic system, when I wear Cuir, I know that I am in my time and in my place. Doesn’t matter if that is a railway station from my childhood or a bar in Amsterdam. Вся моя парфюмерная жизнь – это борьба за чистоту восприятия. Моя собственная внушаемость мой – главный враг в этой борьбе. История дома, название, личность парфюмера, рекламный образ, легенды – это те плевла, на которые так падка моя парфюмерная душа и от которых я всегда пытаюсь отделить сам аромат. Моя самая большая парфюмерная фобия – поиски смыслов там, где их нет. Меня утешает лишь то, что поиски замысла в творении – это извечное человеческое увлечение, самое древнее хобби. Мне нравится, когда вещи называют своими именами. Когда упускают ненужные эпитеты. Когда игнорируют второстепенные детали. Мона ди Орио поступила мудро, дав своей аудитории возможность наполнить смыслом такие однозначные понятия как “ветивер”, “ваниль”, “амбра”…, ноты, ставшие в парфюмерии архитипичными. Односложные названия ароматов Les Nombres d’Or дают простор для жизни. Просто “Кожа” и никаких гвоздей. А сентиментов хватает в любом ольфакторном багаже. На эти мысли меня натолкнул разговор с Еруном Оуде Согтуном, с которым мы случайно встретились у одного из многочисленных амстердамских баров. И, о парфюмерные боги, в тот день я носила Сuir Mоны ди Орио. Мы говорили о Моне, о ее Les Nombres d’Or, о том, как люди реагируют на эти ароматы и какие запахи им близки. Ерун говорил, что люди, к примеру, понимают Vanille, потому что запах ванили знаком им с детства, он несет для них определенную смысловую нагрузку. Сам запах, а не образ, искусственно созданный вокруг него. Мне с детства знаком запах замерзшего угля, талого снега, овощей, хранящихся в холодном подвале. Это запахи в преддверии зимы, когда в тапочках на босу выбегаешь на улицу, бежишь по оледенелым тропинкам за углем, перепачкавшись сажей топишь голландскую печь, соскабливаешь грудки замершей земли с картошки, вылавливаешь огурец из рассола, травы для которого собирал еще летом, ходишь на станцию встречать электричку, подходишь близко к железно-дорожному полотну и слушаешь, как от грохота проносящегося мимо товарного поезда замирает сердце. Так пахнет Cuir Моны ди Орио. Я не могу объяснить почему это пахнет хорошо, но оно так пахнет. И не стремлюсь к объективности. Оставить свою системы координат – это как бросить свой крест. Я лишь пытаюсь быть чесной самой с собой: в точке 0 моей системы координат всегда тихо, как в центре циклона. До прихода Советской власти в 1939 году семья моего деда занималась выпечкой хлеба. Когда у них отобрали пекарню, они стали шить: женщины – платья, а мужчины – кожаные куртки и плащи, которые так любила партийная верхушка. Кожа стала моим любимым направлением парфюмерии задолго до того, как я узнала об этом факте. А знала я только о хлебе. Когда вышла Онда Веро Керн, я подумала, что этот парфюм мог бы носить мой дед, которого я, к слову, едва помню. Эти ассоциации и вывели меня на неизвестные ранее тропы семейной истории. И пусть это просто молекула хинолина, которая так возбуждает лимбическую систему. Когда я пахну Сuir, то знаю: я нахожусь в свое время и на своем месте, и не важно, это железнодорожная станция моего детства или бар в Амстердаме. 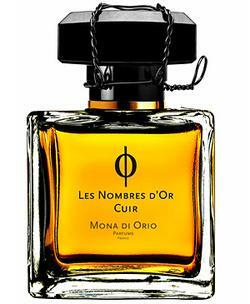 Cuir Les Nombres d’Or Mona di Orio (Mona di Orio, 2010): Cardamom, Absinth, Leather, Cade, Resinoid Opponax, Castoreum.